Drylining masonry is commonly known as ‘Dot and Dab’. 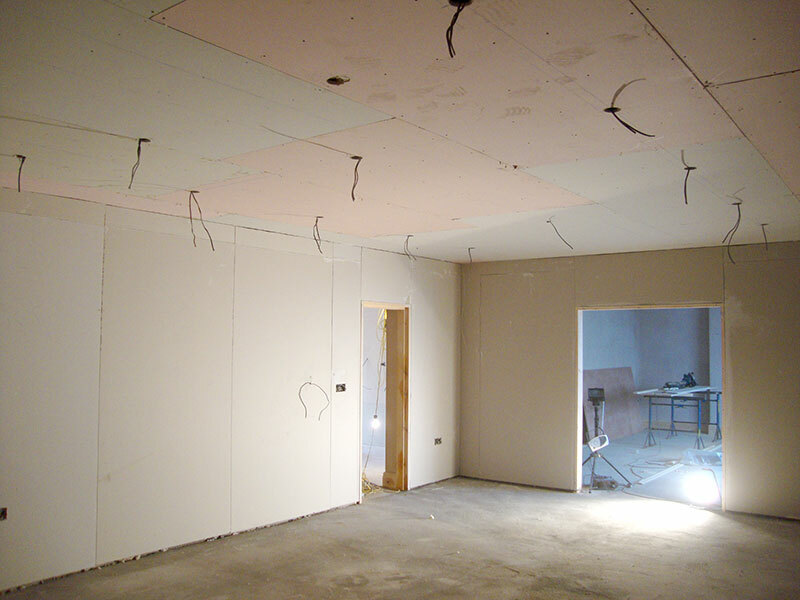 This form of dry lining is much more skilled as it involves using plasterboard adhesive. The adhesive is applied to the wall using a hand board and trowel, the plasterboard is then gently pushed onto the evenly spaced dabs and checked for levels and square vertically and horizontally. The main advantages of dry lining relate to the speed of installation and a much quicker drying out process. Hi-Tech Plastering offers help and advice on all aspects of dry lining plastering and rendering in Stockport and Manchester.